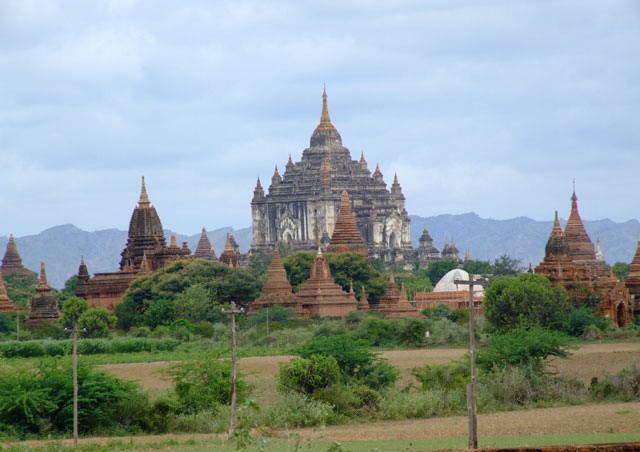 Bagan dates back almost to the beginning of the Christian Era. It lies on the bend of the Ayeyarwaddy River. 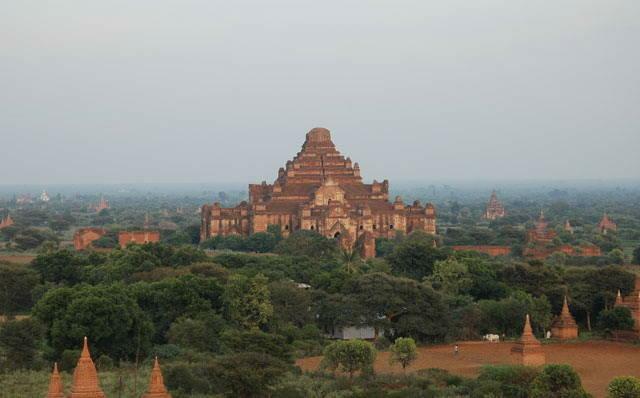 Bagan can be marked to have started with King Anawrahta. He ascended the throne of Bagan in 1044. At that time, the kingdom was under the Mahayana religion. 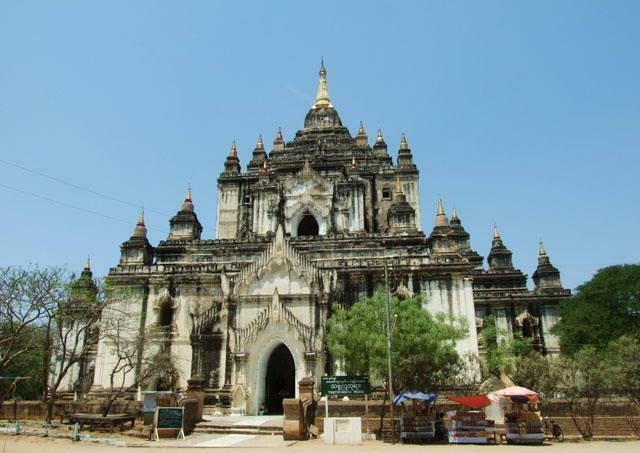 After Shin Arahan's arrival to Bagan, it converted to Theravada Buddhism. 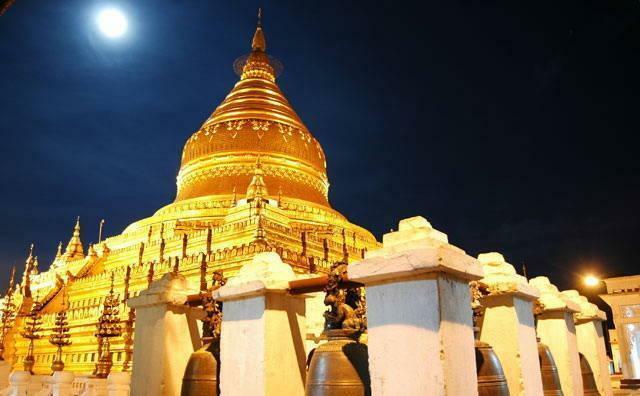 It was said to be that each and every household was able to donate an enshrined Pagoda, because of their faith in Buddhism believe and also because of their wealth. 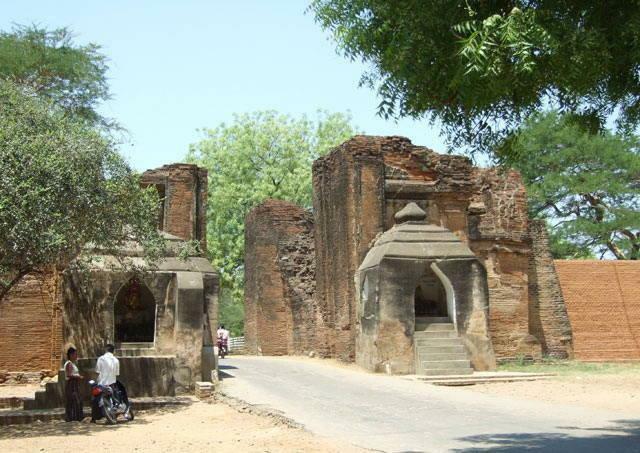 The great Shwezigon was one of King Anawrahta's donation during his time. Horse carts are popular ways travelling around Bagan. Visitors can also hire bicycles at some hotels and guest houses to roam around. The charges are taken per hour service. Ferry boats can also be hired to flow in the Ayeyarwaddy. The ferry stand is near the Bu Pagoda. 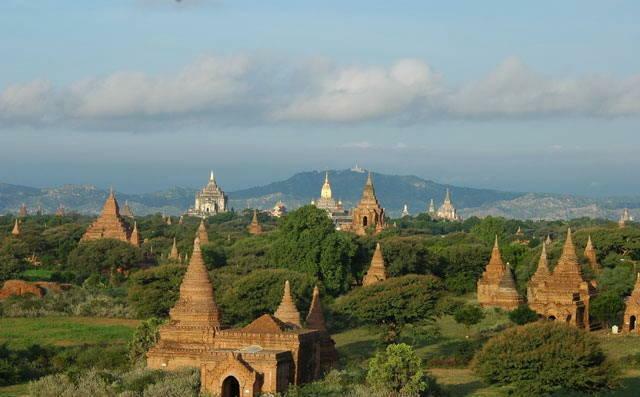 The views from the Ayeyarwaddy is also an interesting way to explore Bagan. 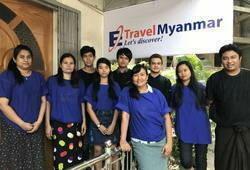 There are Daily Expresses from Yangon and other major cities. 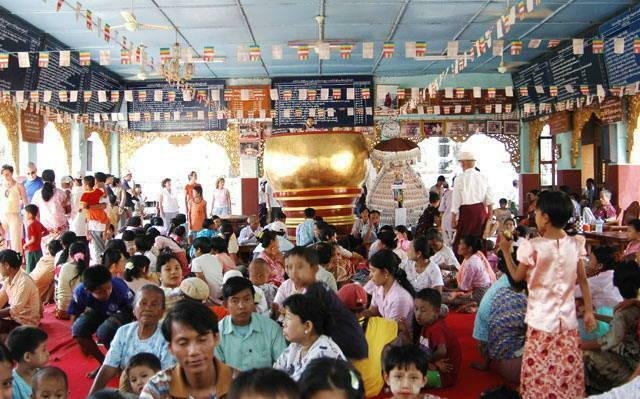 Night buses from Yangon leave in the afternoon and arrive early in the morning. Overnight trains run daily from Yangon, departing at about 4:00 pm and arriving in Bagan at about 9:00 am the following day. 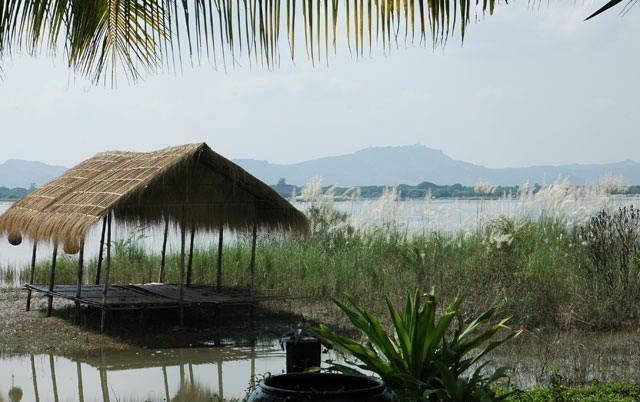 There is a direct train service running from Mandalay to Bagan with two departures daily. Tickets are available directly at the railway station. The journey takes about seven hours. 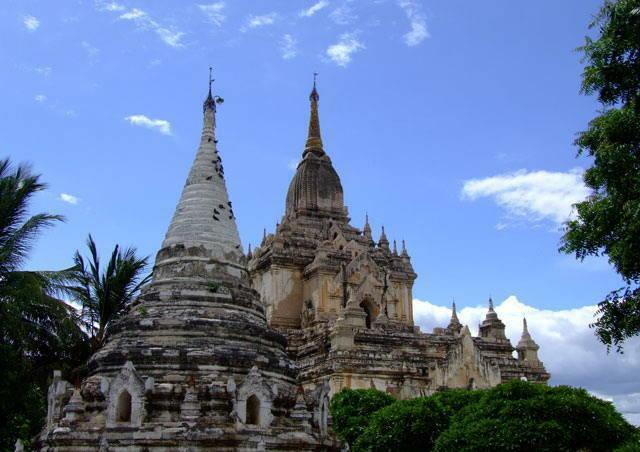 There are daily flights from Air Bagan, Yangon Airways, Air Mandalay and Myanmar Airways to Nyaung U Airport, Bagan. The flight schedules may change from time to time depending on the weather. 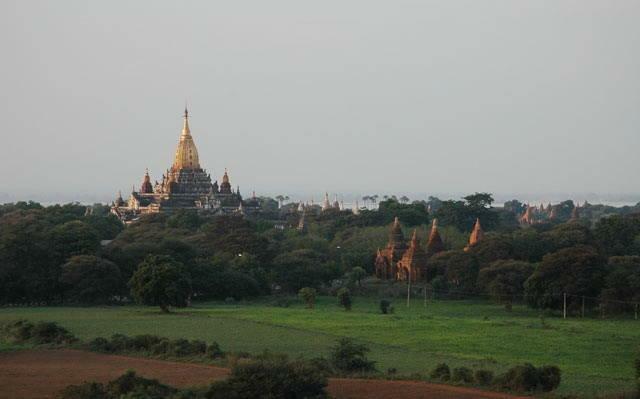 But this is the fastest way to explore Bagan. From the airport to New Bagan, it takes about 15-20 minutes by car. A daily "express" ferry service runs down the Ayeyarwaddy from Mandalay to Bagan taking about 9 hours. Bagan lacquer ware is the famous things to buy. Cloth paintings, T-shirts and other handicrafts are also available at shops near pagodas. There are many places to eat in Bagan serving the traditional Myanmar dishes. Some of the buffets are excellent and you will get dozens of different traditional dishes. The Bagan Myanmar Archaeological Zone, defined as the 13 x 8 km area centered around Old Bagan, consisting of Nyaung Oo in the north and New Bagan in the south, lies on the eastern bank of the Ayeyarwaddy river in upper Myanmar. 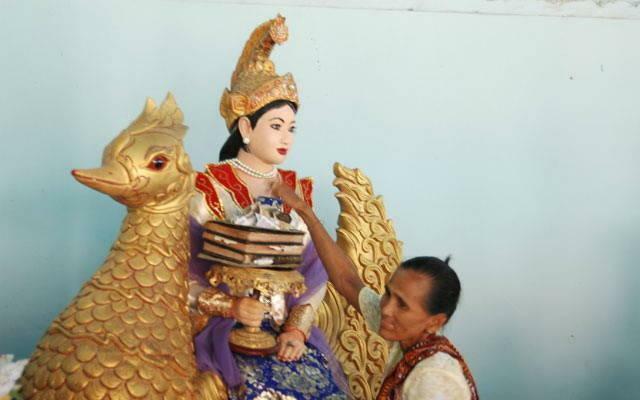 It is located 180 miles southwest of Mandalay and 430 miles north of Yangon. Bagan lies in the middle of the "dry zone" of Myanmar. 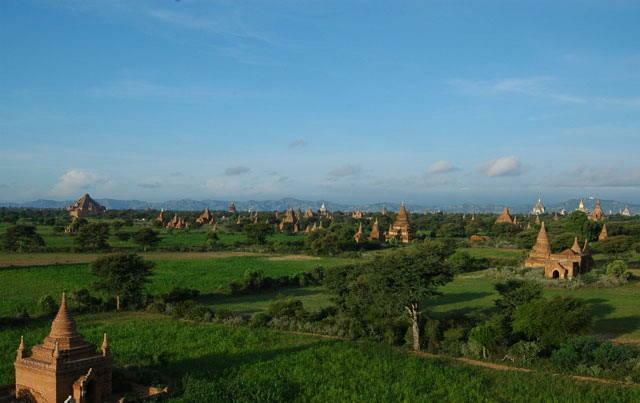 The average temperatures at Bagan exceed 30°C year round, and over 35°C in summer months of late February to mid May. The best footwear to bring is a pair of slippers. It is easy to take off at temples and pagodas. A wide brimmed hat and sun lotion are recommended. 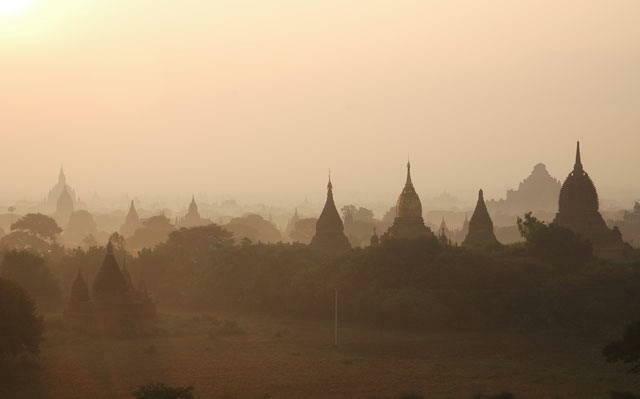 One can take a hot air balloon ride at sunrise through a company called Balloons Over Bagan.